This case study on Angkor represents some of the key threats and concerns World Heritage sites across the world may also have to deal with and manage. When Angkor was first inscribed in 1992, it was immediately placed on the List of World Heritage in Danger due to threat from conflict between Cambodia and Vietnam. It was only removed from this List in 2004, and, although domestic conflict was no longer a threat to the site, a number of new issues endangering the site had become apparent. Angkor is an extensive site, which in recent years, has been visited by over three million international and domestic tourists per year. The impact of so many visitors is one of the key threats Angkor has been attempting to manage since its inscription. However, numbers have only continued to steadily increase. Furthermore, Angkor is also an inhabited landscape, a fact that has presented difficulties for those parties wishing to present an environment that fits a certain view of the World Heritage site and how it should look, rather than the reality of a contemporary and lived-in setting. Another difficulty comes from the location of Angkor being in Siem Reap, one of the poorest provinces in Cambodia. This creates a set of circumstances that makes local residents more inclined to place emphasis and importance on the basic and immediate economical potential of Angkor rather than any longer term value and developmental potential it holds for the region. The comparative wealth of those who visit Angkor is also a draw for those living in other regions of Cambodia; it has been estimated that almost half of those working in the accommodation sector are not Siem Reap residents but seasonal workers who travel there to cash in on tourism. The involved parties recognized that unless management dramatically changed to meet the contemporary needs of Angkor and its population, the site would be damaged beyond recovery. It has also been recognized that tourism represents both an economic necessity and the biggest threat to the longevity of Angkor, so it was decided a comprehensive tourism strategy must be developed in order to minimize threat and improve the long-term viability of Angkor as both a destination and a place for people to live. In response to this, the ‘Angkor World Heritage Area Tourism Management Plan, 2012–2020’ (TMP) under the Angkor Heritage Management Framework (HMF) project was developed. Dealing with the rapidly increasing numbers of tourists who visit Angkor. Reducing negative impacts of tourism (previously understood primarily in terms of conservation at the expense of all else). Improving tourist understanding of the local uses of Angkor, both as an inhabited area and as a place of continued religious significance. 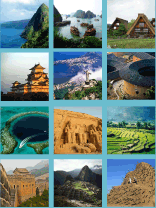 Creating a more cohesive tourism industry that adheres to particular practice and standards. Providing better opportunities and financial return for local residents. The final draft of the TMP is a long and detailed document comprised of six broader aims or ‘initiatives’ addressing the four strategic priorities– promoting positive visitor experiences, reducing site impacts, partnering with industry, providing benefits for local people, improving governance, and engaging with stakeholders. Initiative-specific strategies are defined to fulfil these aims, and each strategy is composed of individual steps (ranging from high to low priority) that are planned to take place in the approaching months and years. Although the broader strategies and steps involved are in respect to different final goals, there are a number of common themes that the strategies share – communication, collaboration, delegation, limitation, examination, diversification, and conservation ­­– and these themes can provide a template for other World Heritage site managers to consider in relation to their own sites, rather than the specific strategies and steps which have been defined with Angkor in mind. The issues faced by Angkor have received much attention and criticism for perceived failures in management. The scale and complexity of Angkor means there is no one easy solution, and a number of measures have been undertaken in the past to deal with conservation and local residents. However, many of these efforts have failed due to a lack of communication between the different bodies responsible for Angkor; a lack of understanding on behalf of residents regarding the policies of World Heritage; an unwillingness to implement any system that might reduce the number of tourists who represent the region’s primary source of income; and the desire to conserve above all else. Consequentially, the strategic priorities for Angkor mentioned above have remained the same for some time. Various stakeholders involved, including the Royal Government of Cambodia, the ICC, and the wider conservation community recognized and communicated the necessity for change and management of the growing risks associated with tourism and development at Angkor Wat and Siem Reap as a destination. A ‘Tourism Industry Stakeholder Workshop’ and a ‘Community, Monks and NGO Workshop’ were held in Siem Reap in March 2012. Together, all of the stakeholders involved provided feedback, drafts, and changes prior to the adoption of the final draft of the Tourism Management Plan (TMP) aiming to make the industry more sustainable and beneficial to the conservation of the World Heritage site, the local community, and tourism businesses within the destination. When developing a tourism strategy for a World Heritage site, consider what the site has to offer even beyond its World Heritage status. The current World Heritage List citation for Angkor does not include natural values, nor does it recognize Angkor’s role as a spiritual lived-in landscape, but these may be of equal interest to tourists as the magnificent architecture and age of the site. As with many other sites discussed in this Toolkit the local community must be a key consideration, and this includes local residents, tour operators, business owners, and anyone else who may be affected by the presence of the WHS and tourism the site draws. Setting up lines of communication should always be one of the very first things site managers work at prior to and during the conception and implementation of a Tourism Strategy. For full details of the Angkor Wat TMP click here.